Established in April 2010 Murfins Plumbing & Heating company is a midlands based central heating and plumbing service dedicated to providing low cost solutions and expert advice within the plumbing & heating sector. 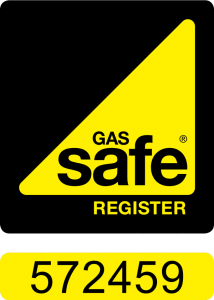 As a fully qualified and gas safe registered central heating engineer Aiden Murfin has a wealth of experience. Having served his apprenticeship with British Gas, installing, maintaining and repairing any gas appliance is like second nature. In January 2016 Murfins Plumbing and Heating embarked on an expansion programme. A second engineer was taken on, Mark joined the team from MBS. As a city and guilds time served engineer Marks wealth of experience - both domestic and commercial complimented Aiden's knowledge base perfectly. Mark stayed with us for a little over a year but has now left the industry to peruse a career at Rolls Royce. In March 2016 Murfins Plumbing and Heating were granted Worcester Bosch accredited installer status. A prestigious scheme recognising high standards of installation of Worcester Bosch products including Gas and oil fired boilers and unvented cylinders. 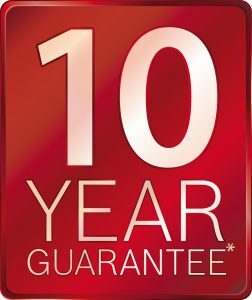 Worcester accredited installer status means great extended warranties for customers at no extra cost up to a maximum of ten years. We now operate from a small office in Allestree, whilst having the showroom was a lovely office environment the ultimate decision to close it was based on the large overhead of running such an operation. Our office is not permanently manned so isn’t designed for customers to visit. When we’re not in there it means we’re out concentrating on what we do best, plumbing and Heating! The phone operates on a divert system so you can call whichever number you want! George Freeman - Plumbing and Heating engineer. George re joined in June 2016 following 12 months working at Beck and Pollitzer fitting large screwed steel pipework at the new jaguar factory. George has worked with Aiden since leaving school, he has served his full apprenticeship program and is now gas safe registered. George has 6 years experience and has spent time working on new build projects, domestic and commercial heating systems, renewables, Maintenence plumbing work and on numerous boiler swaps. Plumbing and Heating engineer. Lewis joined the team in January 2017. Lewis was on the same apprenticeship program at college with George and came highly recommended when we were looking to strengthen the team. Lewis has also completed his full apprenticeship framework and has similar experience as George having served his apprenticeship with an engineer that got involved in lots of large interesting projects. He is an experienced boiler installer that takes pride in his work. Lewis currently undertakes a large amount of our site work working for regional building contractors and smaller local builders alike. Plumbing and Heating engineer. Richard joined the team in June 2017. Having served in the armed forces Richard had the opportunity to train as a plumber. On leaving the military he decided to further his knowledge and qualifications by undertaking the gas engineer framework. He qualified and started his new career at another local Derby firm. Richard has lots of experience working with many different appliances and is the go to man at Murfins for break downs, repair, servicing and general plumbing maintenance. Richard spends lots of his time working in the stressful world of Maintenence dealing with his jobs in an efficient manner, his ability to diagnose issues quickly and his brilliant work ethic make him the perfect asset in this sector. Jason Joined in September 2018, Jason is currently working on the Grace construction site - Kings Crescent at five lamps Derby. A prestigious development of 1 and 2 bedroom apartments with an innovative district heating system. All of the kitchens and bathrooms at Kings Crescent have been designed and supplied by Creative interiors of Derby. The high quality approach to the construction and interior fit out of these apartments mean that we’re really proud to be providing all of the plumbing and Heating for this project.